Topics outlined include: how enzymatic cleaners are designed, how do enzyme medical device cleaners clean, and the optimal cleaning temperatures for enzymatic cleaners. 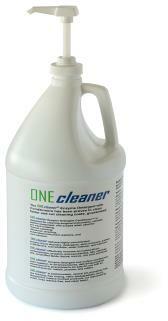 0225-30 enzyme surgical instrument cleaner detergents, 30 gallons jug. Four enzymes are necessary to breakdown bioburden on soiled surgical instruments. Surgical instrument cleaners that do not contain these four enzymes cannot remove all forms of medical device contamination. Cleaning orthopedic surgical Instruments and cleaning eye surgical instruments offer the most difficult cleaning challenges due to the emulsification of lipids and proteins. For the surgical instrument cleaning process to be thorough, four surgical instrument cleaner enzymes are needed, those are Lipase enzymatic enzyme detergents to remove fat, Amylase enzymatic detergents to remove starch, Carbohydrase enzyme detergents to remove high starches, and Protease enzymatic detergents to remove blood. Newly developed neutral pH all-in-ONE and ONEcleaner enzyme surgical instrument cleaner detergents have been shown to be effective in optimizing the efficacy of the passive oxide layer. This will provide a longer life for stainless steel surgery instruments. 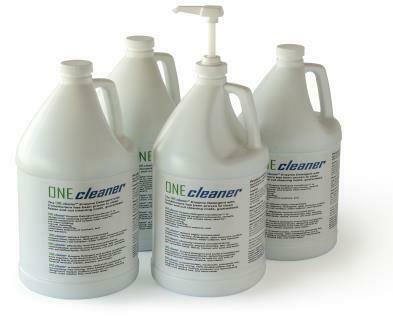 Curgical instrument cleaners with a high or low pH have been shown to erode the passive layer. The most common of these cleaning concentrates utilize an alkaline detergent with an acid neutralizer. Virtually all manufacturers of surgical instruments and surgical instrument containers recommend against using these detergents and recommend using a neutral ph Surgical Instrument Cleaner.